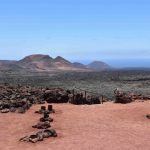 What to do in La Graciosa Island – Enjoy! 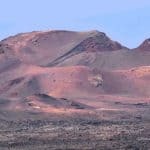 In First Minute Transfer today we tell you what to do in Isla La Graciosa, this is the eighth island inhabited Canaria. For what is a small hidden gem, located only 3 hours from Madrid. The solitude, serenity and silence of this will be the perfect excuse to enjoy nature. 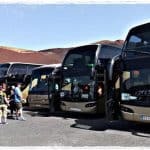 The first thing you should know is how to get to this island, you can do it by ferry, there are regular departures from the port of Órzola in Lanzarote. 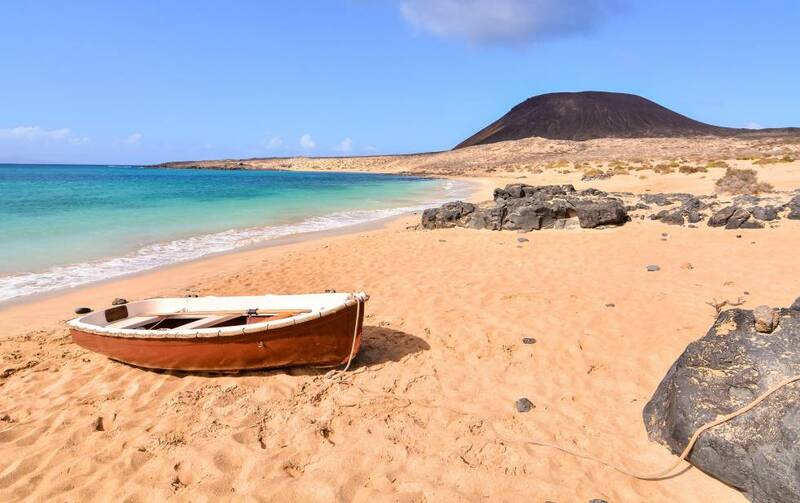 Every 30 minutes you can take a boat that will take you to La Graciosa. The route is 1 kilometer. The best thing is to plan your trip in advance and contact the shipping companies that operate there. This way you will be sure of the departure times and the prices. The island has 29 square kilometers. And little more than 700 inhabitants in its two towns: Pedro Barba and Caleta del Sebo. Geographically, it is located in the northeast of Lanzarote and is part of the Chinijo archipelago, along with 4 other islets. Administratively depends on Lanzarote, and is the municipality of Teguise. Economically they depend on tourism and fishing. According to ABC.es data, 25,000 tourists visit this island per year. It can be a lot if we count the dimensions of the island and the few services that are available. The island has no paved roads. And because of this and its size, it is far from other Canary Islands. There tourism is not for the masses. As there are no paved roads, there are only a few off-road cars. Most are transported from one place to another by bicycle. 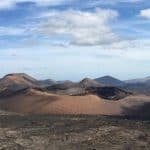 What to do in La Graciosa Island? 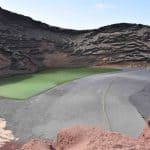 If you are going to enjoy the attractions of Lanzarote in November you can also take advantage and visit La Graciosa, a nearby island that has a lot to offer. 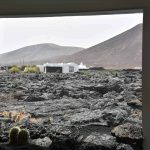 Where to stay in Isla La Graciosa? When you arrive at one of the ferry that we mentioned before, you will be in Caleta del Sebo, that’s where the island’s accommodations and restaurants are located. Being a place for a quieter tourism you will not get big crowds, nor tourist facilities. The streets are flat sand, the houses are small, and everything has white, blue and green tones. Ideally, before going to book, because being so small there is little supply. Especially in high season. The options are private homes, hostels, apartments and even camping areas. On this island you will find paradisiacal beaches, white sands and a volcanic landscape. The view and tranquility invites you to rest, to enjoy the natural environment. Although also if yours is diving will be an excellent place for this practice, and even to do extreme activities such as kite surfing or windsurfing. You can reach the beaches by foot or by bicycle, just follow the sand trails. You can go as a family, couple or with friends, there will always be something to do, whether it’s seeing the beach or some outdoor activity. Low cattle: like all, has white sand and crystal clear waters, which collide with black volcanic remains. Playa La Francesa: is very popular, near Caleta de Sebo, you can walk. It has about 500 meters of pure white sand, calm turquoise waters. Maybe in the high season does not go according to the calm of the island, because many tourists arrive. Playa de las Conchas: it is a sandy, virgin beach, with very few tourists. It is ideal to be calm appreciating nature. 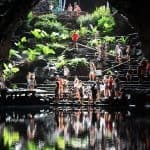 You could also go on day trips in Lanzarote. From the island you can hire boat trips to the other islands of the archipelago, you can admire the landscape of that area. 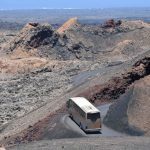 These trips usually go to a beach, there you can practice diving or snorkeling and discover the beauties that hide on the seabed of Lanzarote and its surroundings. In addition, there are other fun activities such as slides or giant banana ride. These tours usually last all day, so they include a typical lunch in the area. In these tours you will see the Marine Reserve of the Chinojo Archipelago. This has 70 thousand 700 hectares, therefore, it is the largest in Europe. In this area you can not fish or extract live species. It is special for diving in La Graciosa, the seabed is perfect for this activity because it has cracks and caves where diverse species and biodiversity inhabit. 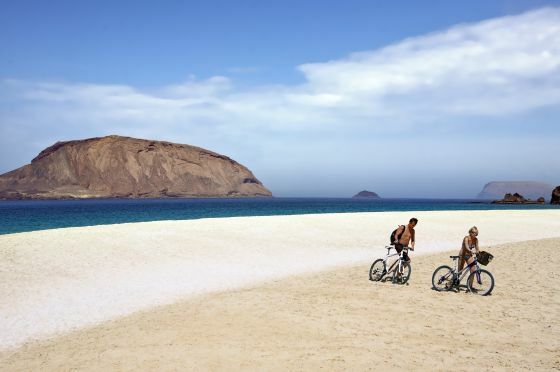 As we already said one of the best ways to go around La Graciosa is by bicycle. The paths of the routes are marked and the ideal is that you follow them, not only so that you do not get lost, but so as not to affect the landscape. 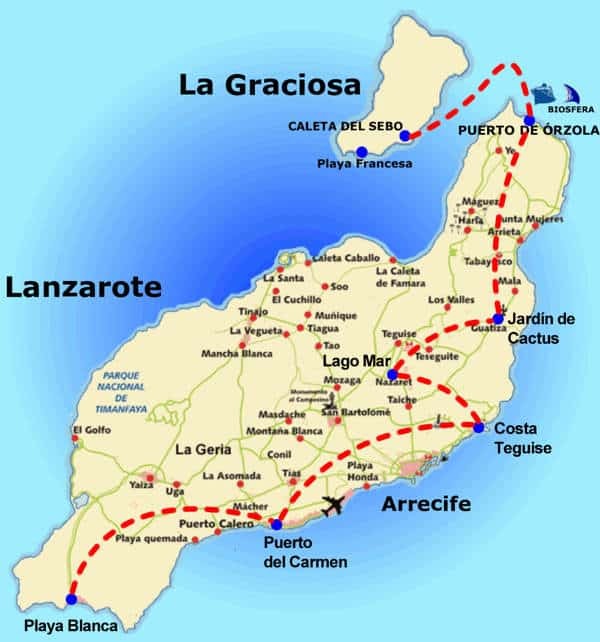 You will think, do I have to take my bicycle to La Graciosa? Although if you want you can do it, in Caleta de Sebo you will find places where you rent them. They also provide support for any malfunction of these. Of course, you must be in good shape or try to go slow, because the irregularity of the terrain makes it a bit more difficult to ride the bike. Fishing is one of their main economic activities, they are fishing villages. Therefore, the fish dishes are cheap and very substantial. You will find restaurants that offer the best of local food. 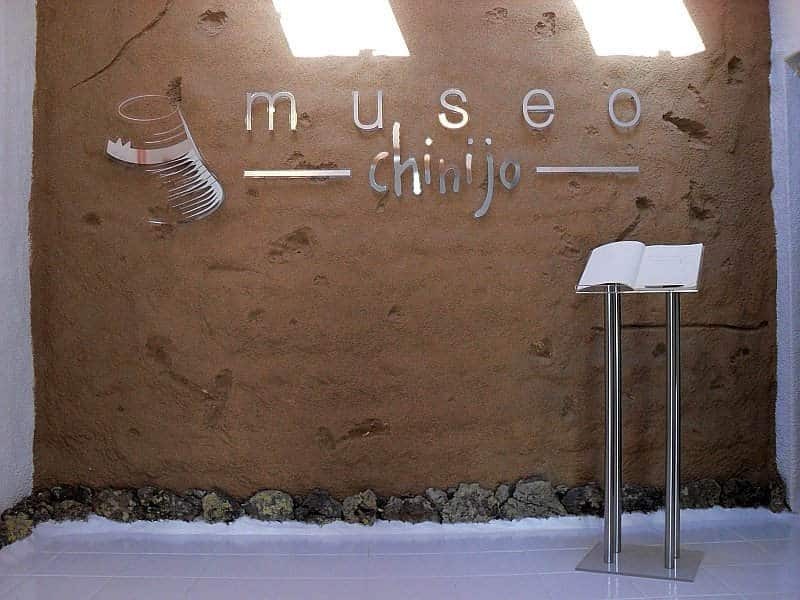 The Chinijo Museum is located in Caleta de Sebo, on Isla La Graciosa. Its opening hours are from Monday to Saturday, from 10:00 a.m. to 5:00 p.m. In its 70 square meters it has samples of the riches of these islands that are in the Atlantic Ocean. It has spaces dedicated to cetaceans, salt, the Chinijo Archipelago, the orchila, aloe vera, among others. For example, in the Atlantic waters of these islands lived the megalodon, which was the largest shark in the world, measuring up to 20 meters. 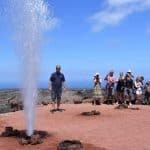 You already know what to do in Isla La Graciosa, in your next visit to Lanzarote you can take advantage and go to this wonderful island. Thus you can enjoy a much more relaxed tourism and in contact with nature. 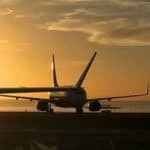 Contact us if you need a transfer when you arrive at the airport in Lanzarote.